Looking to spice up your powder room’s blank walls with a clever spin on a gallery display? 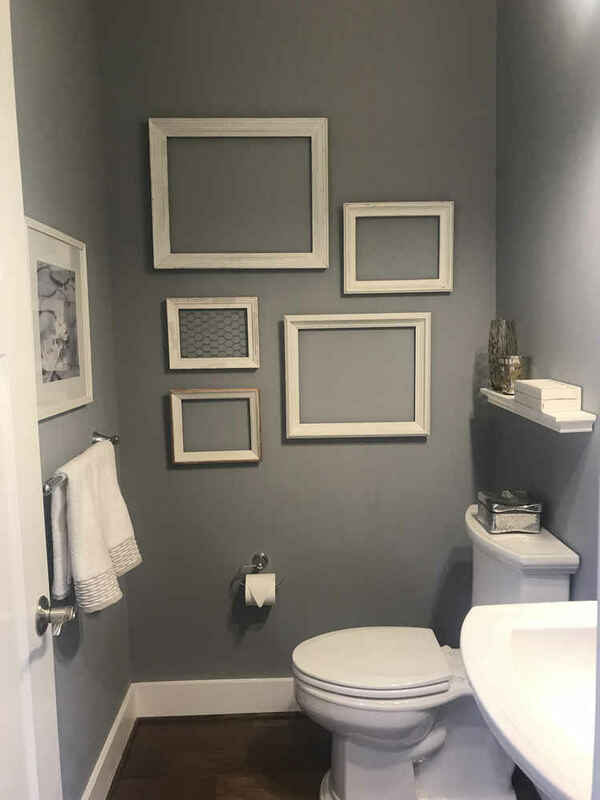 Take frames in a variety of sizes and profiles, paint them a beautiful contrasting color to offset the tone of your walls, and make your own masterpiece. We implemented this look in the guest bathroom of a recent project, “Woodlands at Plum Creek,” using Miss Mustard Seed’s milk paint in Farmhouse White on frames found in an antique store. The frames were hung in an interesting pattern to give a visual effect without being too busy. For an added touch, you could add an antique mirror to the middle or embellish with chicken wire as we did with this project.